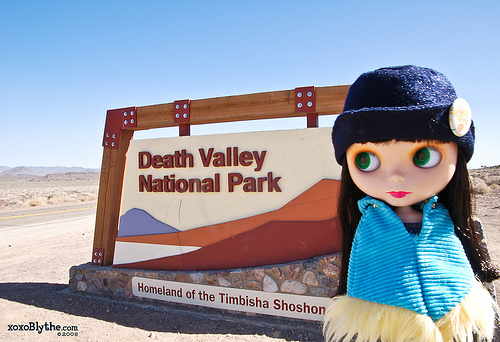 Paige and I had the bestest time at Death Valley National Park! I'm guessing she may have been the first Blythe to set foot in the park? We went to Badwater, Scotty's Castle, Devil's Playground, Ubehebe Crater, the sand dunes, and lots more amazing places. My only regret is not having a 4-wheel drive vehicle so we weren't able to visit the more remote areas of the park, but there's always another chance to visit! More photos here in my Flickr set!